In Japan, the most popular variant of chess is the Shogi. The game was transmitted from India to Korea and China before arriving in Japan. 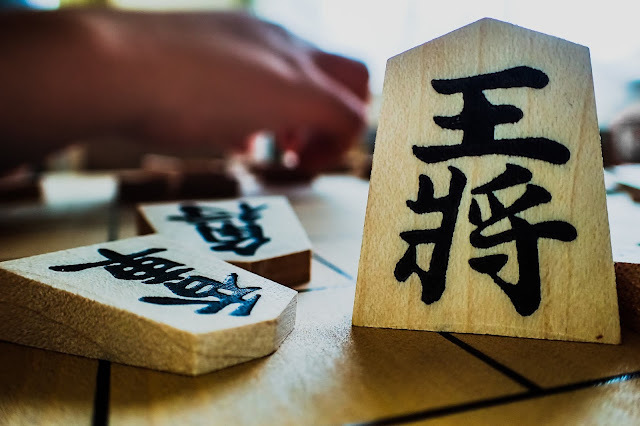 There are two distinguishing characteristics of Shogi, such as: the captured pieces can be utilized by the captor and played as the part of the captor’s forces and pawned can capture pieces normally, which is one square straight ahead. Shogi was brought to Japan. Several theories regarding the spread of Shogi showed that the game probably became popular during the 6th century. Back then, the pieces were not the current five-sided pieces but rather three-dimensional similar to the Chaturanga pieces. One of the oldest documents specifying the existence of Shogi is the Kirinsho, which is a seven-volume work that contains descriptions of how to write characters for the pieces used in Shogi games. During the Heian period, the Shogi pieces used to consist of the king, silver general, gold general, lance, knight and pawn. Technically, Shogi is won when the king is captured but there are also circumstances where the defeat is conceded when the mate becomes inevitable. As for the equipment of the game, the two players play on a board, which is composed of squares in a grid containing nine ranks by nine files. The squares are also not undifferentiated by color or marking. The players have a set of twenty pieces, slightly different in sizes. The pieces include a rook, bishop, king, two pieces of gold generals, two silver generals, two lances, two knights and nine pieces of pawns. The several names are chosen to correspond to their rough equivalents in international chess. Each of the pieces has its name written on its surface in the form of Japanese characters, called kanji. On the other side of the piece are one or two characters that when turned face up indicate promotion. The pieces controlled by the two players also do not differ in color; instead, they face forward, toward the opposing side. For English-speaking players, the promoted bishops are referred to like horses, while promoted rooks as dragons. The characters on the other side of the pieces may also be in red ink, usually written in a cursive manner. There are also rankings used in Shogi. These rankings are also used in karate, calligraphy and other arts in Japan. For the placement of the pieces, the king is placed in the center file. The gold generals are adjacent to the king, while the silver ones are placed adjacent to the gold generals. The knights are located beside the two silver generals and the lances are situated in the corners. As for the second rank, the bishops are at the same file as the left knight, while the rook is in the same file as the knight located on the right. Like other chess games, each player takes turns in moving pieces. The player who first captures the opponent’s king wins the game. However, this rarely happens in practice since most players will concede defeat when the loss is inevitable. More so, in amateur and professional games, any player who makes an illegal move loses automatically.